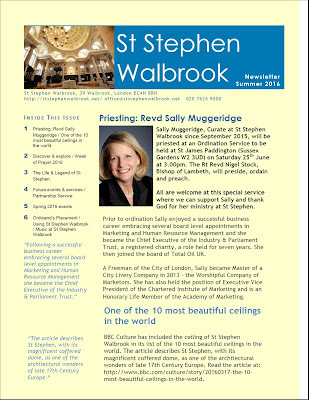 The newsletter can be read by clicking here. St Martin's Voices - Shall We Gather At The River. 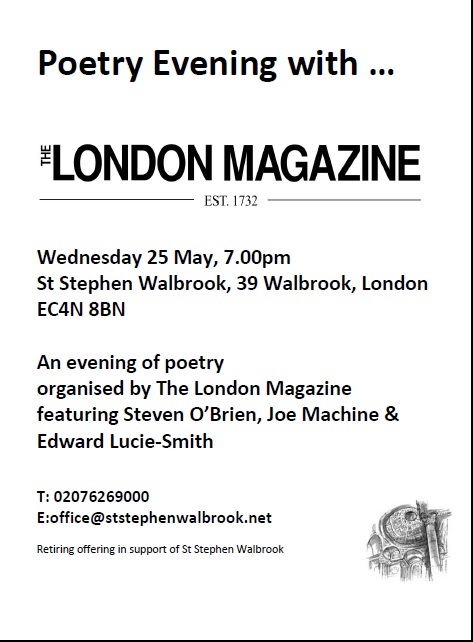 An evening of poetry organised by The London Magazine and featuring Steven O’Brien, Joe Machine and Edward Lucie-Smith - Wednesday 25 May, 7.00pm, at St Stephen Walbrook. Steven O'Brien is Editor of The London Magazine and a Senior Lecturer at the University of Portsmouth. He is a writer, primarily in poetry and poetics, who has given many readings featuring his collection of poems Dark Hill Dreams and Scrying Stone. He views public readings as crucial in the process of writing as living work. He says "it is an imperative of Creative Writing that it emerges (from its roots in English Literature) with a distinct conceptual style and flavour, in which literary writing can encompass both the creatively critical and the critically creative." Joe Machine is an artist, poet and writer. He is a founding member of the Stuckist's art group. His work has been called "raw and autobiographical". His paintings on 'The Life & Legend of St Stephen' will be at St Stephen Walbrook from 16 - 27 May 2016. Joe Machine and Steven O'Brien have collaborated on a soon to be published book, Britannia Stories, exploring twenty myths commonly associated with the British Isles. They worked closely in examining the origins of all the stories, and on determining the relevance of each to the 21st century, with Machine’s paintings influencing O’Brien’s writings, and vice versa. Edward Lucie-Smith was born in 1933 at Kingston, Jamaica. He moved to Britain in 1946, and was educated at King's School, Canterbury and Merton College, Oxford, where he read History. Subsequently he was an Education Officer in the R.A.F., then worked in advertising for ten years before becoming a freelance author. He is now an internationally known art critic and historian, who is also a published poet (winner of the John Llewellyn Rhys Memorial Prize), an anthologist and a practicing photographer. Steve Mason - Words In My Head. Earlier today I visited This is not a rehearsal', a celebratory retrospective of the artwork of Steve Fairnie at Coate Studios in Hackney until Sunday 1st May (10am - 4pm). 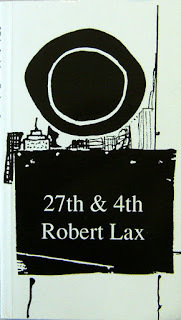 'Poet Robert Lax, whose quest to live a true life as both an artist and a spiritual seeker inspired Thomas Merton, Jack Kerouac, William Maxwell and a host of other writers, artists and ordinary people. 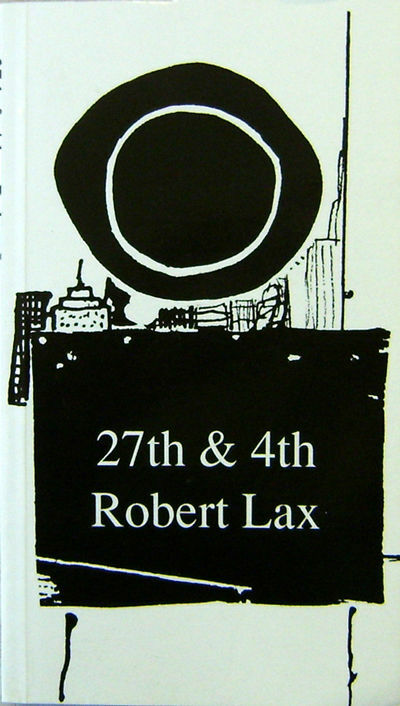 Known in the U.S. primarily as Merton's best friend and in Europe as a daringly original avant-garde poet, Lax left behind a promising New York writing career to travel with a circus, live among immigrants in post-war Marseilles and settle on a series of remote Greek islands where he learned and recorded the simple wisdom of the local people. Born a Jew, he became a Catholic and found the authentic community he sought in Greek Orthodox fishermen and sponge divers. The Techno Orchestra - Observation. Very pleased with the new Sophia Hubs volunteer bloggers - Janet and Amanda! Here's a couple more this week - Janet's blog about the value of an Enterprising Desk website workshop and her two new website for 2 start-up busineses and info on the City business library. Amanda's doing one over the weekend. Room for more bloggers! The Timebank trading event last Saturday was great - here's a blog from Brenda the painter/decorator about the paid work she's got from Timebank and a couple of positive outcomes from the event. Hoping Bhav will do one too - a reminder. Still time for any groups or start-ups that want to join a Sophia course workshop on planning something new/partcipatory/engaging at the Redbridge Green Fair (a mini project to plan and test)information is here. Wednesday afternoons, info here. Please do share Sophia Hubs blogs, Facebook posts etc, and also The Redbridge Green Fair, my other hat! Iris Dement - Our Town. 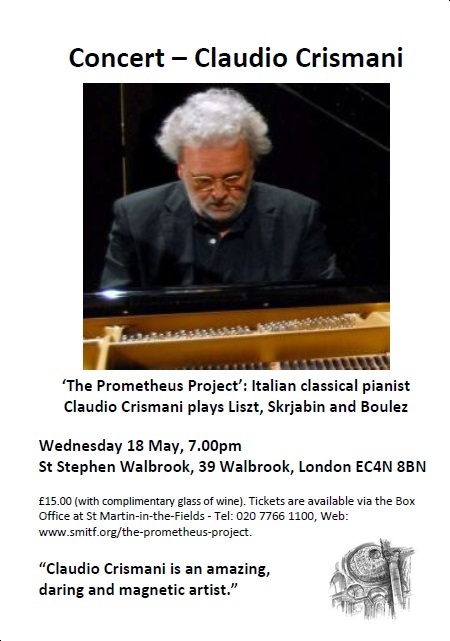 ‘The Prometheus Project’: Italian classical pianist Claudio Crismani plays Liszt, Skrjabin and Boulez. Wednesday 18 May, 7.00pm - £15.00 (with complimentary glass of wine). Tickets are available via the Box Office at St Martin-in-the-Fields- Tel: 020 7766 1100, Web: www.smitf.org/the-prometheus-project. "Claudio Crismani is an amazing, daring and magnetic artist." Crismani’s concert dedicated to Scriabin’s music. The music by Russian composer Alexander Scriabin has always been at the centre of Crismani’s artistic interests. Crismani was born in Trieste and he began studying music with Andrea Giorgi as a young boy. Between Andro and Claudio a solid, lifelong fraternal friendship was built in time. He continued studying piano with Alessandro Costantinides and composition with Mario Bugamelli, graduating with full marks at the Bolzano Conservatory. He then perfected his technique studying with Marguerite Kazuro in Warsaw for five years. Russia, Israel, USA, Japan and Australia and in the most distinguished concert halls. He has worked with directors such as James Lawrence Levine, Cristoph von Dohnányi and Thomas Sanderling and performed with internationally renowned orchestras, among which: The London Philharmonic Orchestra, The Philharmonia Orchestra, The European Community Chamber Orchestra, Les Solistes de Moscou, The Osaka Philharmonic Orchestra and The Israel Philharmonic Orchestra. he was appointed "Guest Artist" of the Van Leer Foundation in Jerusalem and under this aegis he became co-founder of the Horowitz Festival. In the Nineties, he staged a three-evening performance of the complete Poems and Sonatas for piano by Scriabin, which was repeated several times in different countries. He had an exclusive record contract with RS for twelve years and won two Discographic Awards. This period was marked by an important collaboration and friendship with the great Russian pianist Lazar Berman. His performance of Scriabin’s Concerto for Piano and Orchestra together with The London Philharmonic Orchestra, conducted by Thomas Sanderling and recorded live at the Royal Festival Hall in London, was a true publishing success story. After a concert tour in 2002/2003 marking his thirtieth year of artistic activity (he was described as one of the major artists of his generation), Claudio Crismani decided to retire from the concert scene and devote himself exclusively to a long period of study. In 2014, he returned on the musical scene – among others - with “The Prometheus Project”, which is a transposition of Alexander Scriabin’s “Promethean” dream, designed to be a literary, artistic and (of course) musical experience. He rewrote it together with his friend Edward Lucie-Smith as a synesthetic blend, suspended between visual art and music, literature and history. Here, Pasternak and Scriabin intersect with contemporary traits, tracing a hitherto undescribed randomness of real-life moments spanning from Russia to Trieste and present and future human relations developing between Trieste and London. In 2015, Claudio Crismani returned on the international scene at the exhibition on Boris Pasternak: “la Genesi del Sogno” (The Genesis of the Dream). The event highlighted artworks by Oleg Kudryashov, photographs by Moisei Nappelbaum and Crismani’s concert (performed strictly on a Fazioli piano) at the Teatro Verdi in Trieste, and repeated in 2016 in Cividale del Friuli with a tribute to Boulez. 'This is not a rehearsal' is a celebratory retrospective of the artwork of Steve Fairnie to be held at Coate Studios in Hackney from Friday 29th April - Sunday 1st May: Friday 29th April (Private View), 7pm - 10pm; Saturday 30th April, 10am - 4pm; and Sunday 1st May, 10am - 4pm. "Steve Fairnie (1951–1993) was a British musician, artist and actor, the frontman of the post-punk band Writz, and as one half, with his wife Bev Sage, of the 1980s pop outfit Techno Twins (later just The Technos)." "‘This is not a rehearsal’ is a selection of Fairnie’s artworks created in RYC Cellar Studios in Bristol during the late ‘80s until his unexpected death in 1993. A sculptor in essence, materiality was important to his process. Fairnie used layered collages of oils, oil bars, charcoal and acrylics. He would sketch, draw, scratch and paint on surfaces to develop a rich texture that he would then scrape back to reveal other possibilities. He would often revisit works to allow the surfaces to evolve organically over time. Early childhood memories in Fraserburgh had a profound affect on his development as an artist and inspired works unafraid to tangle with the fragility of life. Recurring images include fairgrounds, boats, mythical figures, crosses, stones and circles. Parallel to this, his life-long fascination with performers, preachers, dictators, magicians and evangelists fuelled his subject matter. His own charismatic performances and life on the road gave Fairnie a depth of personal experience in understanding the impact of characters in the public domain using and abusing their positions. ‘The Evangelist’ (a.k.a. ‘Billy Graham’) stands as a good example of this fascination." Photograph, photograph, photograph, photograph. Jan Vanriet, like Gerhard Richter and Marlene Dumas, among others, often uses photographs as source material for his paintings. The Music Boy is a quadripytch based on a photograph of Vanriet's Grandmother and Uncle prior to the Second World War. Vanriet paints the same innocent image - a mother and child, folk music in a family setting - four times in varying degrees of detail and focus, as well as different colour combinations. These different renditions of the same image serve to engender a variety of emotional responses to an autobiographical image which is in some sense universalized through its varied repetition. Repetition of the image also brings an element of uncertainty to a seemingly innocent image laden with a multiplicity of artistic and literary associations. Use of different degrees of focus and detail - the image fading in and out of focus - raise questions of memory in family and oral histories together with issues of endurance both personally - Vanriet's Uncle died of tuberculosis developed in Dachau - and in terms of the media we use to tell our stories and retain our images - in this cases images based on a photograph (a medium with built-in fade and frailty). Vanriet repeats the trick in The Contract, a polyptych of the artist’s parents together on the dance floor having survived a concentration camp. He draws out the combination of happiness and hope with suffering and grief which is contained in this image and its history through the variation in his treatment of it. Focusing on particular details, changing backgrounds and colours, using silhouettes and patterns, he evokes nuances and perspectives of memory and consequence. Mauthausen, the concentration camp in Austria where his parents first met, is referenced by a panel where the couple’s feet are superimposed on a red triangle, the badge worn by political prisoners in the camps. The combined effect of the eleven panels is to evoke and explore the nature of the contract entered into by this traumatized yet freed couple. Vanriet is “a pivotal figure in the world of contemporary narrative painting” (Jan Vanriet, The Music Boy Press Release - http://www.thenewartgallerywalsall.org.uk/info/press/press-releases). Narrative, however, has been a major 'no, no' in much modern art. As a reaction against historical, mythical and religious painting, the literary and the linear were anathematized. As a painter who is also a poet and who collaborates with his novelist wife, Simone Lenaerts, Vanriet is clearly a counter-reaction to this anathematization of narrative in modern art. However, in his art, this not primarily expressed in terms of the linear and literary. Modernist narratives are multi-layered with contradictory voices creating polyphony. That phrase from a musical concept is relevant to the diversity of voices found in many modernist novels and to the multiple panels of works like The Music Boy and The Contract. Simultaneity, contradiction, polyphonic fragmentation, paradox; these are modernist techniques revealing transcendental negativity; that is, what cannot be spoken and the existence of worlds beyond limits. This world of contemporary narrative painting, inhabited by Vanriet, Richter, Dumas and Luc Tuymans, among others, is one in which “events and ideas are not expressed explicitly, but implied through subtle hints and allusions, creating an ambiguous collage of disconnected fragments and details” (http://www.tate.org.uk/whats-on/tate-modern/exhibition/luc-tuymans); a world of modernist narratives visualised. Martin Herbert writes that Vanriet’s work reveals “a world that glimmers with significance” but, in which, in the aftermath of the Holocaust, we cannot “connect signifier and signified.” We can’t “hold onto the past for lessons,” as we are fragile, “as fragile and fallible as our memories” (M. Herbert, ‘Hide and Seek’ in Jan Vanriet: The Music Boy, The New Art Gallery Walsall, 2016). This sense is, perhaps, most clear in Vanriet’s Horse series. These paintings update The Contract by featuring a husband and wife - Vanriet and Lenaerts - together in a shared activity; in this case, that of playing a pantomime horse. However, Vanriet removes the costume that would make comic sense of their shared activity leaving just the awkwardness of their unusual posture in settings which reference Edvard Munch’s Moonlight or Piero della Francesca’s Madonna del Parto. Vanriet and Lenaerts play out their shared activity in a role and settings which no longer make sense. James Horner - Remembrance, Remembrance. Music and liturgy with the Choral Scholars of St Martin-in-the-Fields at St Stephen Walbrook: A service series of musical discovery exploring the lives and thought of the Saints. Discover & explore services explore their themes through a thoughtful mix of music, prayers, readings and reflections. The Choral Scholars of St Martin-in-the-Fields have an essential musical role at that great church. Every year twelve scholars are appointed to sing regular services while also gaining concert experience, benefiting from an extensive training in all aspects of sacred and secular choral music. 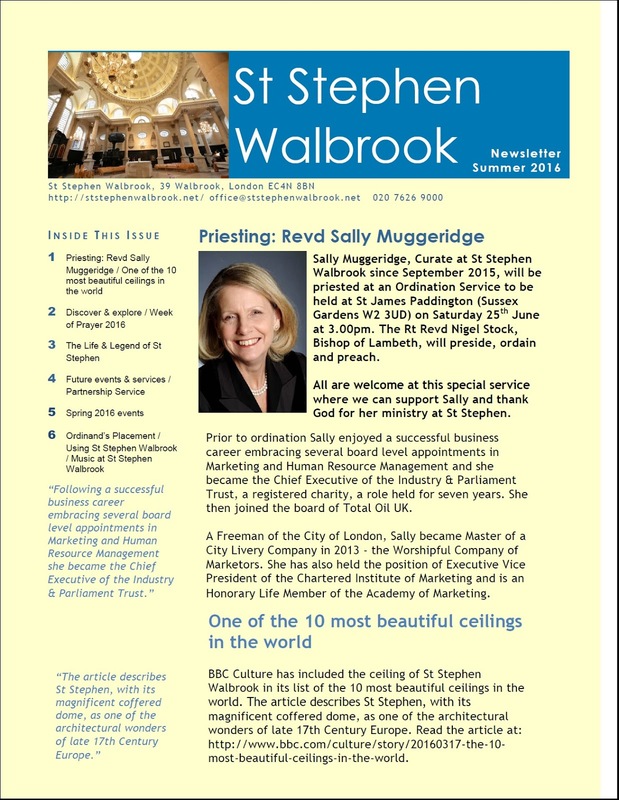 St Stephen Walbrook is an Anglican Parish Church which is rich in heritage, but one which remains actively involved in the City of London. 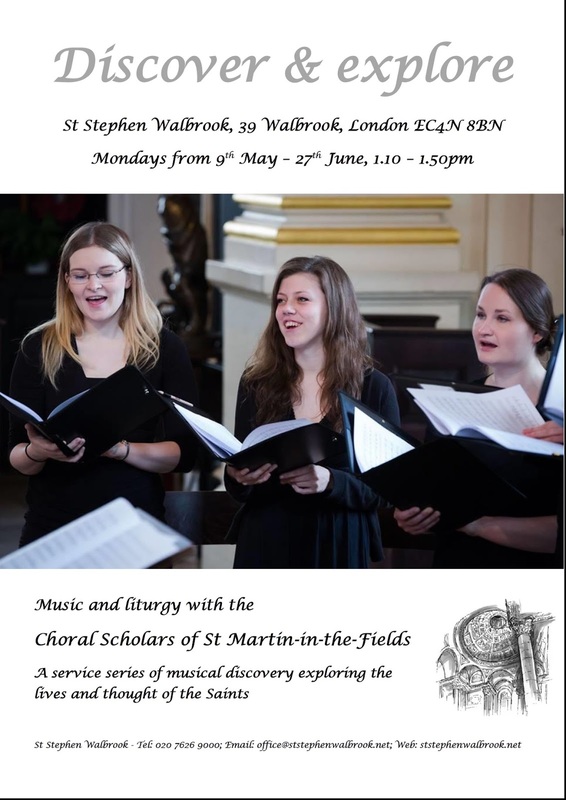 With an almost perfect acoustic for choral singing and a renowned organ famed for its regular Friday recitals for City workers, St Stephen Walbrook stands witness next to the Mansion House at the heart of the City it was built to serve. Opening hours, Monday – Tuesday, Thursday - Friday 10.00am – 4.00pm, Wednesdays 11.00am – 3.00pm. Recitals on Tuesdays (1.00pm) and Fridays (12.30pm), Eucharist on Thursdays (12.45pm). The Discover & explore service series is supported by The Worshipful Company of Grocers. The Choir of St Martin-in-the-Fields - Amazing Grace. Peter Gill presents a paper based on his challenging new book: Today We Drop Bombs, Tomorrow We Build Bridges: How Foreign Aid became a Casualty of War. 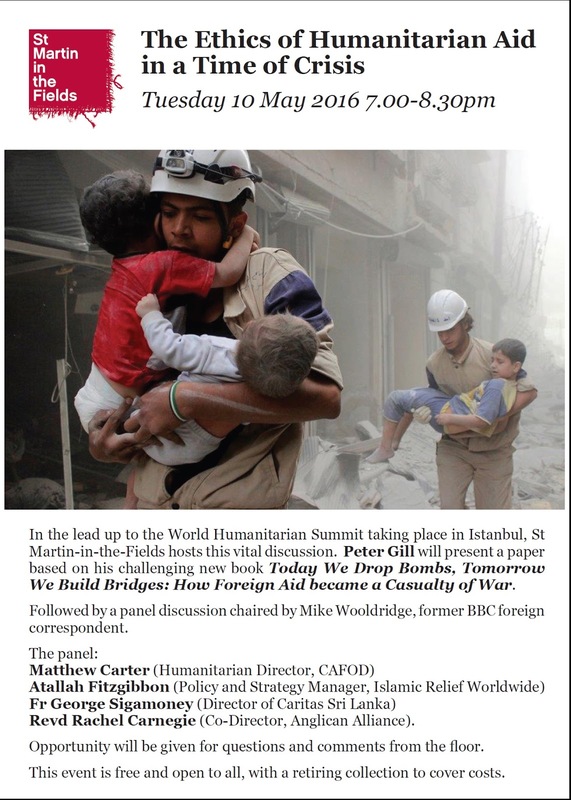 Followed by a panel discussion chaired by Mike Wooldridge, former BBC foreign correspondent. Revd Rachel Carnegie (Co-Director, Anglican Alliance). Opportunity will be given for questions and comments from the floor. This event is free and open to all, with a retiring collection to cover costs. Martyn Joseph - This Fragile World. 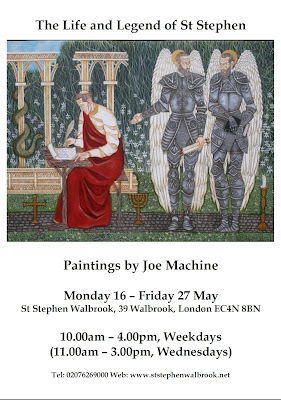 Joe Machine will present a significant new series of paintings on the life and legend of St Stephen at St Stephen Walbrook (16 - 27 May 2016). 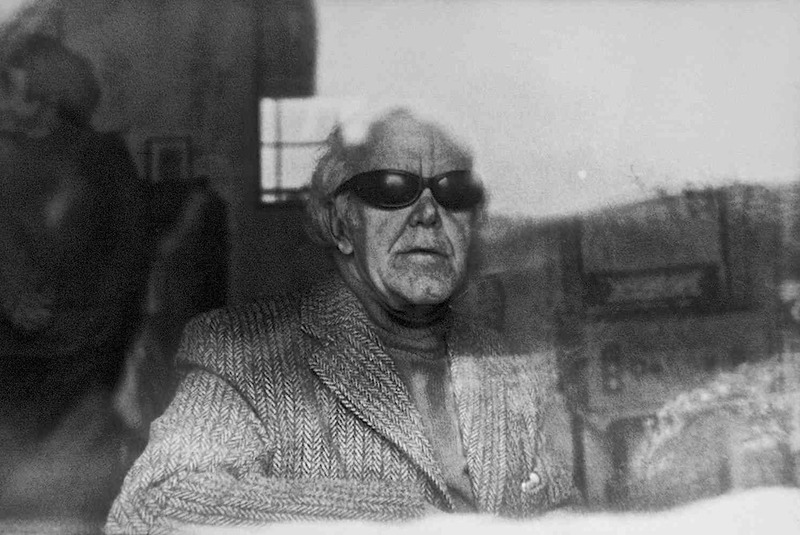 Artist, poet and writer, Joe Machine, was a founding member of the first Stuckist group in 1999. His work has been raw and autobiographical. As a young man his involvement in crime such as burglary led to periods in youth offenders' prisons. He credits art as his way out of this lifestyle. 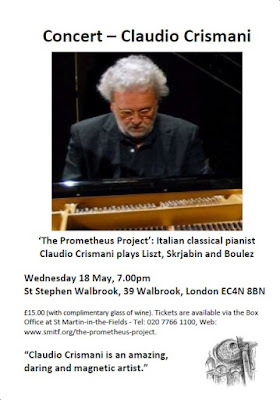 Concert – ‘The Prometheus Project’: Italian classical pianist Claudio Crismani plays Liszt, Skrjabin and Chopin. “Claudio Crismani is an amazing, daring and magnetic artist.” Wednesday 18 May, 7.00pm - £15.00 (with complimentary glass of wine). Tickets are available via the Box Office at St Martin-in-the-Fields - Tel: 020 7766 1100, Web: www.smitf.org/the-prometheus-project. Poetry evening: Wednesday 25 May, 7.00pm. 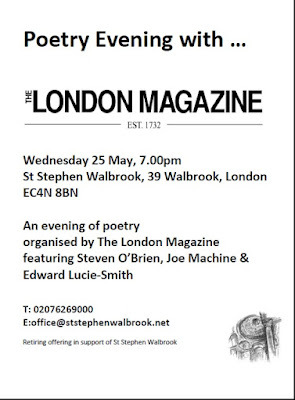 An evening of poetry organised by The London Magazine, including Steven O’Brien, Joe Machine and Edward Lucie-Smith. Claudio Crismani - Csardas Macabre 2. Reverend Gary Davis - Oh Glory How Happy I Am. Victoria Williams - This Moment. Tomorrow, Saturday we have the fabulous Timebank 'social market place' and live trading floor. 2-4 in Ilford Library. Please do give it a try and be cutting edge! Info here. Tuesday, early, 7.30 am is the Chamber networking breakfast with speaker Jo Sealey on marketing. Info here. Guests welcome. Next Saturday, 29th there's a Sophia course graduates day for follow on support. If you're one of the 55 people, info here! A great business seminar on business canvases for community groups last night, the first of the Enterprising Redbridge scheme. Blog to follow next week! A great meeting with Leonore Lord, business adviser at Enterprise Desk, who will be writing a guest blog and introduction next week! The Redbridge Green fair is recruiting for stalls and organisations. There's a mini Sophia hubs course workshop on Wednesday afternoons to help you plan something participatory and engaging. Have a great weekend and hope to see many of you tomorrow at the Timebank event. Ros Southern, Coordinator, Sophia Hubs Redbridge"
Pete Seeger - If I Had A Hammer. 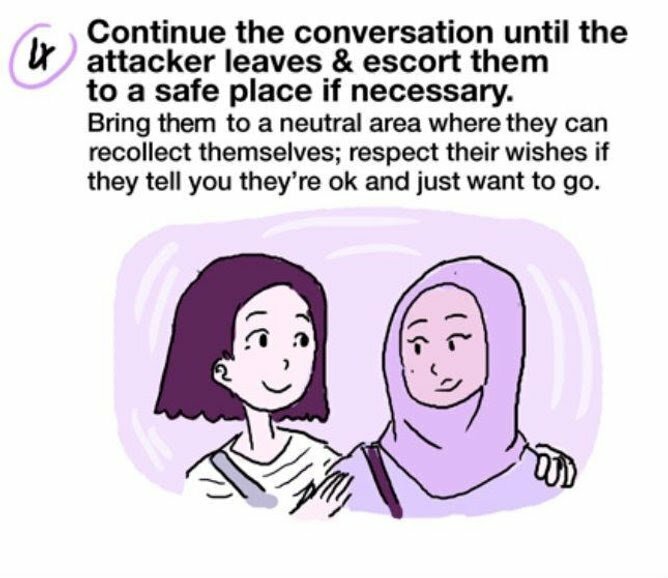 Did they really have an option but to confront what had happened though? That reflexive act of memory also colours the great political schisms of our times. Much has changed in Europe in the 18 months since the British Museum’s Germany show and the first publication of his book. It contains many chapters of forensic storytelling, but the one that stands out reading it now is MacGregor’s analysis of a simple refugee cart. That cart was representative of one of the most forgotten events of the last century: the forced “repatriation” of German speakers from eastern Europe after the war. About 30 million people were “ethnically cleansed” and 12-14 million returned to a devastated homeland they didn’t know, and became absorbed into a society that was rebuilt and reordered within a decade. This, it seems to me, explains, in part, the shortcomings of the argument currently being made by anti-EU campaigners that Barack Obama is guilty of double standards when he encourages the UK to remain part of the EU. What those campaigners fail to acknowledge is that the USA is, as it says on the tin, a Union of States. Obama recognises the importance of cooperation rather than isolation and interdependence rather than independence because that is built in to the existence of America, part of its raison d'être. By contrast, the anti-EU campaigners believe, as McGregor notes, that we should entirely do these things on our own and try to assume total control over our environment. In my view it is this refusal to recognise the value of cooperation and interdependence that causes the shallowness in the arguments made in favour of Brexit. Woody Guthrie - This Land Is Your Land. MONDAY EVE: Wanstead Business Networking event - free, well attended, worth a try. Info here. THURSDAY EVE: Enterprising Redbridge business seminar on the business canvas model for community groups and charities. Info here. SATURDAY AFTERNOON: Timebank trading floor/social market place at Ilford library. Exciting, cutting edge, useful, fun! City Business Library fab seminars - these are ongoing - info here. Feedback on the Redbridge CVS launch of Enterprising Redbridge - see the pics and report here. Our entrepreneur's club speaker last week Shahriar Hossain for a passionate and practical session on identifying and taking a next step, no messing! Follow up support offered and an expectation to have kept to the agreed actions! Hainault Start up Liam Martin-Lane for the well attended and great Google For Work seminar at Enterprising Redbridge this week. Like our Facebook Page and share posts. Get more people to sign up for this newsletter. Send me news on business and community stuff. Write a blog about your start-up, or any business news with a community twist. 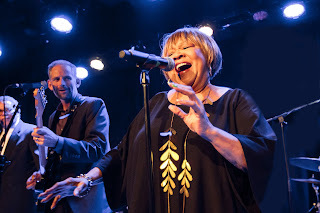 Mavis Staples - Hard Times Come Again No More. Van Morrison - Linden Arden Stole The Highlights. 'When MPs voted, last October, to give the immigration bill 2015-16, currently going through parliament, a second reading, Alistair Carmichael, the Liberal Democrat spokesman, protested that there had already been seven immigration bills in the last eight years and 45,000 changes to the immigration rules since Theresa May became home secretary in 2010. Specialist lawyers such as Giles, who argue that even they can barely keep up, also point to the fact that in 2013, the coalition government cut the legal aid budget by hundreds of millions of pounds. At the same time it limited availability of financial help for immigration cases to judicial reviews, persons seeking asylum, victims of domestic violence or trafficking, and those in immigration detention centres seeking bail. This means that anyone applying to remain in this country, on any basis apart from asylum or domestic violence – be it length of residency, a job offer, investment, marriage or family – must be able to afford a lawyer (and the rapidly increasing visa application fees) or navigate a near-impenetrable system unaided. In this already difficult arena, as explained in yesterday's 'The Long Read' in The Guardian, Tom Giles specialises in defending some of the most difficult and unpopular cases of all: those subject to deportation, and foreign nationals imprisoned in British jails. Click here to read this shocking and eye-opening article about the reality of our Government's immigration policies and plans. As conference chairwoman in 2002 Theresa May gave a 'Nasty Party' warning to the Conservative Party but, with her immigration policies, has gone on to become 'poster girl' for the 'Nasty Party'. ‘I am the Vine and You are the Branch Managers': Organising the Kingdom or Stifling the Spirit? 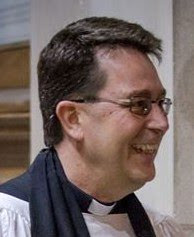 Those concerned about managerialism in the Church of England may wish to make their way to St Martin-in-the-Fields this Sunday at 5.00pm to hear The Revd Dr Sam Wells, Vicar of St Martins, address the issue of whether management is a helpful tool that can help Christians and the church flourish and fulfil their potential, or whether it is an insidious ideology that impoverishes true relationship and diminishes the life of faith? Sam will preach on this topic in our 'Issues of our Time' series and as part of Lighten Our Darkness, our service of contemporary Choral Evening Prayer. The title of his sermon is ‘I am the Vine and You are the Branch Managers': Organising the Kingdom or Stifling the Spirit? Eternal Father, strong to save. In the latest edition of Church Times I have a review of Mavis! 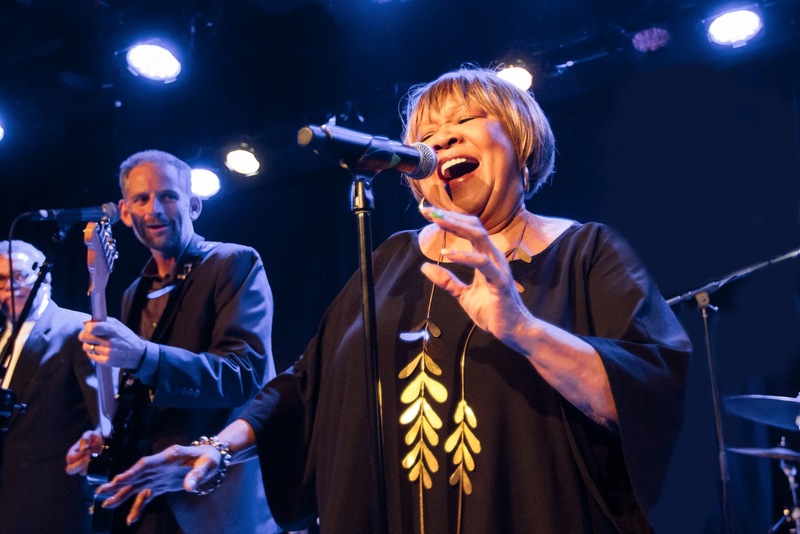 the first feature documentary on gospel/soul music legend and civil rights icon Mavis Staples and her family group, The Staple Singers. Featuring powerful live performances, rare archival footage, and conversations with friends and contemporaries including Bob Dylan, Prince, Bonnie Raitt, Levon Helm, Jeff Tweedy, Chuck D, and more, Mavis! reveals the struggles, successes, and intimate stories of her journey. In the review, I say: "Jennifer Edwards’s documentary is an emotional tale and trip combining elation in the gospel with defiance of discrimination, as the group crosses boundaries — first, by combining blues, country, and gospel to create their unique sound, and then by merging spirituality and social comment at civil-rights marches and the Newport Folk Festival, before re-sacralising soul as Stax stars in the Black Power period characterised by the Wattstax Festival of 1972, a benefit after the Watts Riots in 1965." The Staple Singers - I'll Take You There. 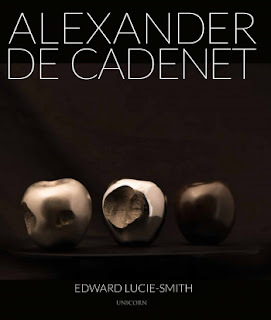 Unicorn Publishing Group have recently published a monograph on the work of Alexander De Cadenet written by the renowned art historian Edward Lucie-Smith and looking at the evolution of De Cadenet’s work in painting, sculpture and photography over the past 20 years. De Cadenet's works are both profound and humorous, as if directed by a mischievous jester spirit. In the book, we see how his art combines exploration into philosophical and spiritual questions, such as the meaning of life & death and the nature of human consciousness, with an idiosyncratic, 'post-pop' aesthetic. The book was launched last night at the Andipa Gallery where, as part of an exhibition of his works, de Cadenet unveiled the first in a new series of skull portraits featuring King Richard III of England based on the x-rays made of the late monarch following his discovery beneath a car park in Leicester in 2012. De Cadenet says, "The portraits challenge the traditional facility of art to keep the life/identity of a subject alive in the minds of future generations - as they present a forensic X-ray record of the subject's remains as opposed to a recognisable likeness of their face. For me, Richard III is one of the ultimate skull portraits and I feel honoured to be able to present him using this concept as he is a part of our country's history." King's X - Over My Head. “In a pastoral society like ancient Israel, sheep and shepherds were used to describe the relationship of God with his people: ‘the Lord is my shepherd’ and ‘we are his people, the sheep of his pasture’ (Pss 23:1; 100:3)” (Richard A. Burridge, John). In Jesus’ time, sheep were very important as they provided both food and clothing. Shepherd’s had to have a nomadic lifestyle because of the available pasture. They had to travel with their sheep from one region to another as the seasons changed. This created the close relationship between sheep and shepherd that we hear Jesus describing and using in this reading: “The Shepherd cares for his sheep, calls them by name, leads them to pasture and water, finds shelter for them in inclement weather, defends them against bandits and wolves, and willingly lays down his life for them. The sheep have great confidence in the shepherd. They recognize his voice, obey his commands, and they follow wherever he leads them” (http://www.frksj.org/homily_the_good_shepherd.htm). Stephen Verney writes that “… the Son can do nothing of himself, but he simply looks at the Father and whatever he sees the Father doing so he does too … the Father holds back nothing for himself but gives everything to the Son. So it is, says Jesus, between the Good Shepherd and his sheep – between me and mine, and mine and me. They are in my heart, and there I see them in all their human ambiguity. I see what they are and what they can be, and I give myself to them. And I am in their hearts … That is how the Good Shepherd knows his sheep, and how they know him. They do not simply know about him, or pass examinations in theology, or even read books about John’s gospel. They know him in their personal experience.” (Verney). “What is more, God’s love is universal, so the shepherd must also be concerned for ‘other sheep … not of this fold’, who will also hear his voice and be brought together into one flock (10:16)” (Burridge). What Jesus says here is that what he offers is not simply for a little exclusive group but is for the whole human race. The Good Shepherd lays down his life for the sheep: “The word “life” (psychē …) is impossible to translate by any one English word. The psychē means the self, or the ego, or the soul. It can be the centre of our earthly life, or the centre of our supernatural life. If the shepherd lays down his psychē for the sheep he is offering them this centre of his inner life, in all its varied aspects …” (Verney). Lesslie Newbigin writes that: “Here is the unmistakable criterion by which true leadership is to be distinguished from false. We are familiar with the kind of leadership which is simply a vast overextension of the ego. The ultimate goal – whether openly acknowledged or not – is the glory of the leader. The rest are instrumental to this end. He does not love them but makes use of them for his own ends. He is a hireling – in the business of leadership for what he can get out it. By contrast the mark of the true leader is that of the cross” (The Light Has Come). The Crown College Choir - The King Of Love My Shepherd Is. I’d like you to imagine going on from here to a choice of two different meals. The first is a hamburger from a fast food outlet and the second some sandwiches made from freshly baked bread. Given the choice, which would you choose? What we choose to eat has consequences for us. Bread, for example, forms a major part of the 'Balance of Good Health' healthy eating model for the UK. Bread, other cereals and potatoes should make-up approximately 33% of our diet and that’s because flour and bread provide us with more energy value, more protein, more iron, more nicotinic acid and more vitamin B1 than any other basic food. On the other hand, the hamburger probably contains about 25% fat by weight, as the higher the fat content the juicier the burger. A standard frozen hamburger typically contains about 7.3g of fat and about 118 calories. When we combine foods with high fat and sugar content with very little exercise then, as a nation, we start to put on weight and that is why it is estimated that, in the UK, one in five men and a quarter of women are overweight, and that as many as 30,000 people die prematurely every year from obesity-related conditions. What we choose to eat has consequences for us. Jesus says essentially the same thing in our Gospel reading today (John 6. 35 - 40). He says that if we want to live and live well, in fact, if we want to live forever then we need to eat the ‘Bread of Life’. In other words, we need to choose the healthy eating option in our lives rather than the fast food option. What is the healthy eating option in life? What is the ‘Bread of Life’? It is Jesus himself. “I am the bread of life,” he says, “he who comes to me will never be hungry.” “Whoever eats this bread,” Jesus says, “will live for ever.” This is where Jesus’ picture language can seem to get confusing because Jesus is a person and how can you eat a person? But this is why when Jesus uses picture language we must understand what he means by those pictures and not take what he says literally. Some of the people who opposed the Early Church did take sayings like this literally and accused Christians of being cannibals! But that is not what Jesus means at all. First, in verse 47 Jesus tells us to believe in him. Believing means to put all our trust in Jesus and in what he has done and said. Just like bread is a staple food by believing in Jesus we make him the staple part of our lives. Second, when Jesus was tempted by the devil to turn stones into bread he said we do not live by bread alone but by every word that comes from God’s mouth and here in verse 45 Jesus talks about being taught by God. God’s words are recorded in the Bible as are all that Jesus said and did. We feed on him by reading all we can about Jesus and then by putting it into practice in our lives. Third, in verse 56 Jesus talks about communion when he says, “Whoever eats my flesh and drinks my blood lives in me, and I live in him.” The Eucharist reminds us of all that Jesus has done for us in dying and rising again and as we eat the bread and drink the wine we are taking Jesus and all that his death and resurrection mean into ourselves. When we feed on Jesus in these ways we are making the healthy choice for life, the choice that leads to life forever. In our lives when faced with the choice between the healthy eating option and the fast food option we don’t always choose what is best for us and we then suffer the consequences later in life. What choice will you make for your life today? Will you choose to feed on Jesus, the ‘Bread of Life’ or will you reject Jesus and choose the ‘Fast Foods of Life? The choice is ours but the Bible clearly sets out for us what is the best choice for our lives. Richard Proulx and the Cathedral Singers - I Am The Bread Of Life. For some years the Arts Centre Group (ACG) has run a poetry competition in memory of Cornish poet Jack Clemo. Entries have just closed for this year's edition, which marks the centenary of Clemo's birth. On Saturday 14 May the ACG will be holding a day of celebration with special guests, at the London Institute of Contemporary Christianity in Vere Street, London, culminating in the presentation of the 2016 Jack Clemo Poetry Competition prizes by the Bishop of Truro, Rt Revd Tim Thornton. Tickets are £10 for the whole day including lunch/refreshments etc or £5 for either the morning or afternoon session with refreshments included. To help plan catering etc, ACG need you to book by FRIDAY 15th APRIL at the latest and send your payment by the end of April. The easiest way to pay is via the website - www.artscentregroup.org.uk, or call the office between 11.30 and 5.30pm on the following days: Monday 11 and Friday 15 April – (0207 407 1881). Jack Clemo - The Broadening Spring. 'Ikon presents a major exhibition of fluorescent light works by Dan Flavin (1933–1996), one of the most important post-war American artists. Tim Hecker - Castrati Stack. Peter Case - Waiting On A Plane. Zi Ling has won the Leathersellers First Prize of £1000 to a young artist with her painting 'Rikishi' at the Royal Institute of Painters in Watercolours 2016 Exhibition at the Mall Galleries. The exhibition is the 204th by the RI and continues until Saturday 16th April. Ling creates portraits or explorations of relationships by working from photographs with which she feels an intuitive connection. Previously Ling has had work in the Lynn Painter-Stainers Prize 2016, Columbia Threadneedle Prize exhibition, the Sunday Times Watercolour Competition exhibition, and Society of Women Artists (where she won the Rosemary & Company Art Prize); all at Mall Galleries. Click here to see examples of Ling's work. 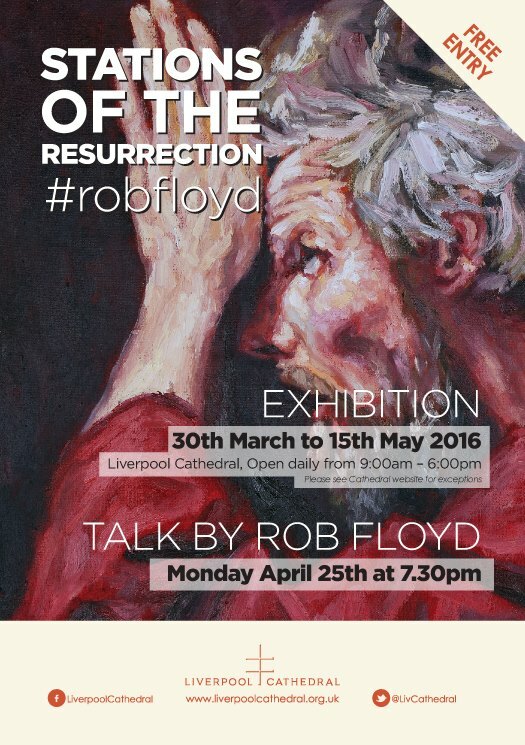 ‘Stations of the Resurrection’ is an exhibition by Rob Floyd in The Well and Other Areas of Liverpool Cathedral until 15th May 2016, 09:00 – 18:00 (each day). 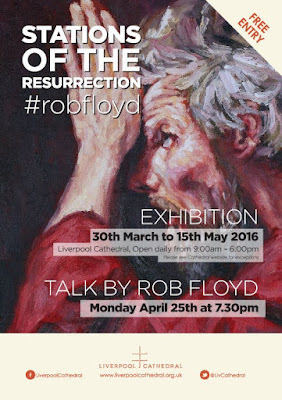 Rob Floyd brings his distinctive painting style to Liverpool Cathedral in this specially commissioned exhibition that follows on from the acclaimed ‘Stations of the Cross’ cycle previously displayed at Manchester Cathedral. The Perceptualist Eye is an exhibition by Tim Harrold at The Wellhouse Gallery from 15 May to 10 June 2016. Tim defines ‘Perceptualism’ as ‘the place where the conceptual and the metaphysical meet’, and comes from the word ‘perceive’. The Perceptualist Eye is therefore about a way of seeing, a worldview, a certain perspective. Informed by his Christian Faith and inspired by his pilgrimage through life with Jesus, many of Tim’s pieces are in some way ‘visual parables’ – they have meanings that work on a number of levels. Working mostly with mixed media, Tim brings together ‘found objects’ and rearranges them into new contexts, scenes and stories. Tim often incorporates words in the images he creates. This reflects his loves of graphic design and writing, especially ‘found poetry’. Tim’s repertoire covers the commercial and the not-so-commercial. His art is not just about the intrigue of the visual but also the idea behind the image. From 9 July Tim will also be part of a joint exhibition with John Espin, as part of Thurrock Art Trail, in the small but perfectly formed ancient pilgrimage church St Mary the Virgin Parish Church in Little Thurrock, Grays. Both shows will feature new work, and the latter will hopefully show some larger pieces that have not been previously seen before in public owing to space. Blessid Union of Souls - Peace And Love. “Breathe on me, breath of God. 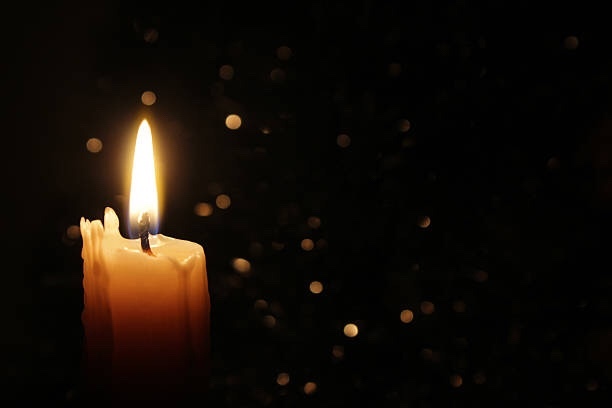 Fill me with life anew, That I may live as thou dost live And do what thou woulds’t do.” This prayer is based on the Gospel story that we have heard today of Jesus breathing on the disciples and the disciples receiving the Holy Spirit (John 20. 19 - 23). The hymn writer takes the picture language of the Holy Spirit being like the breath of God and extends it to all of us so that we pray, “breathe on me, breath of God.” What is it about breathing that is such a good metaphor for the work of the Holy Spirit in our lives? In beginning to answer that question, think consciously about your own breathing for a moment. Focus, for a moment, on the regularity of your breathing in and out. When we breathe in we draw into our bodies the oxygen that we need for life itself. This is a picture of our taking in and being filled with what we need for life. In the same way the Holy Spirit is the life of God in our lives and comes to fill us with that life. What the Holy Spirit brings to us are all the characteristics and gifts of God. Paul lists the characteristics of God in Galatians - love, joy, peace, patience, kindness, goodness, faithfulness, humility and self-control. He also lists a whole series of different gifts that the Holy Spirit awakens in us; some are natural gifts and some, supernatural. But Paul says that the Spirit gives each of us at least one gift and therefore the Holy Spirit comes to give us the character and creativity of God. It is this - the character and creativity of God - that we draw into our lives in the same way as we draw the oxygen of life into our bodies when we breathe. We breathe continually. There is no let-up in our breathing, at least not until we die. We can live a long time without food, a couple of days without drinking, but life without breath is measured in minutes. So in the same way that we constantly breath, we are to continually draw in the Holy Spirit into our lives. Sometimes Christians speak about being filled with the Holy Spirit as though it is a one-off experience - “have you been filled with the Holy Spirit?” others might ask us. By which they usually mean have you received one of the supernatural gifts of the Spirit. But being filled with the Spirit is not intended to be a one-off experience. The letter to Ephesians encourages us to go on being filled with the Spirit. The Holy Spirit first comes into our lives as we first give ourselves to him and then we need to continually receive the Spirit on a moment-by-moment basis. For me, this constant receiving seems closely linked to prayer. The letter to Ephesians also says, that we should pray at all times as the Spirit leads. God is looking for us to be in constant communication or conversation with him through the Holy Spirit so that we can see him and receive from him wherever we are and whatever we are doing. As the presence and thoughts of God - the Holy Spirit - are continually breathed into our lives through this constant conversation so we continually see and begin to put into practice the characteristics and creativity of God in our way of life, our lifestyles. The prayer of the hymn writer was: “Breathe on me, breath of God. Fill me with life anew, that I may live as thou dost live and do what thou woulds’t do.” This is also why Jesus can say to the disciples as they receive the Holy Spirit that they can forgive or not forgive sins. When we know and practice God’s characteristics and creativity then we are able to make the kind of decisions that God makes. This is possible because we have started to think and act like God. However, it is important that we don’t stop there. Breathing is not solely about taking in. We breathe in in order to then breathe out. The pattern of our breathing is taking in and giving out, taking in and giving out, and so it should be in relation to the Holy Spirit. The characteristics and creativity of God cannot only be expressed inwardly. Love, joy, peace etc. cannot be seen unless they are shared. Paul continually emphasises that the gifts of the Spirit are not for our own or the Church’s benefit instead “the Spirit’s presence is shown in some way in each person for the good of all.” Just as we cannot live if we do not breathe out as well as in, so we will not come alive as Christians unless we give out as well as take in. There are then to be two constants in our lives. A constant conversation with God in which we draw into our lives his Holy Spirit - his presence, his thoughts, his characteristics and his creativity. This is to be coupled with a constant giving out of his characteristics and his creativity for the good of others so that the Holy Spirit is available for others to draw into their lives too. Easter: Where do you stand?